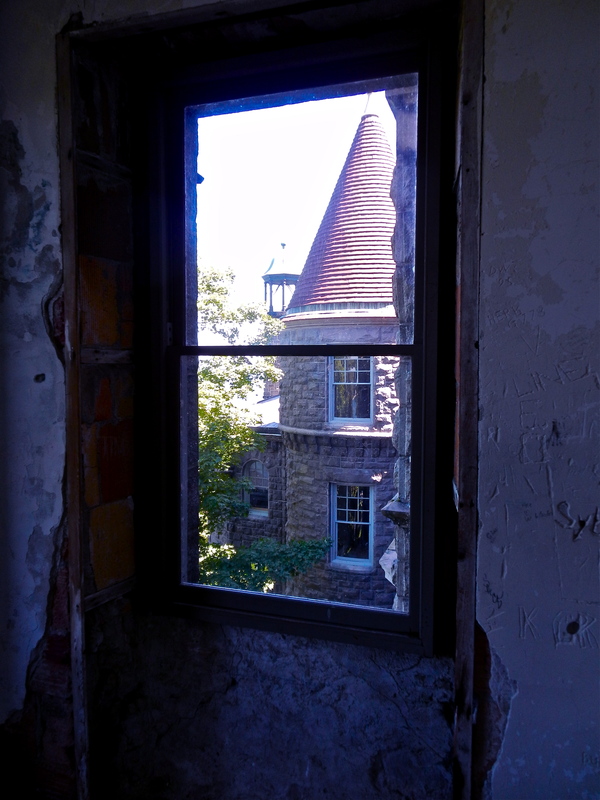 Interior shots of unfinished portions of the Castle. basement pool overlooking the St. Lawrence River. 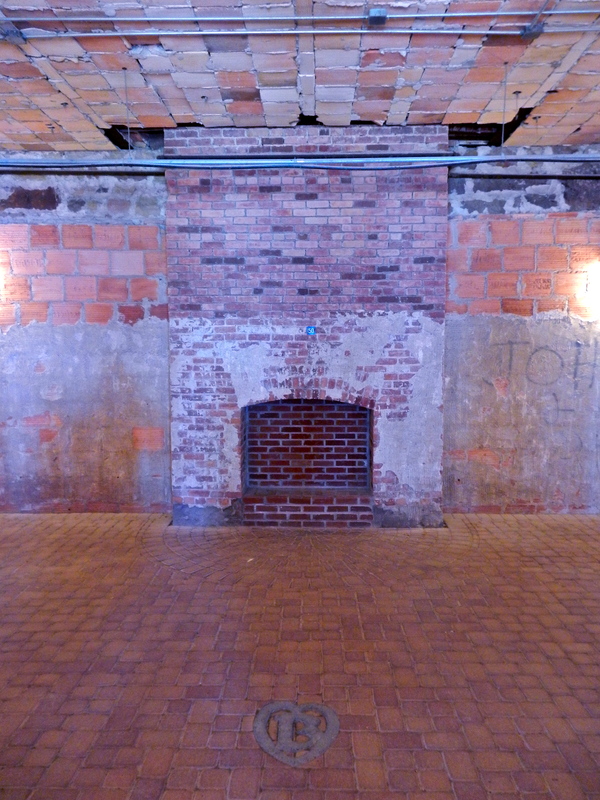 Lounge fireplace in basement. There is a balcony behind me looking into the pool. 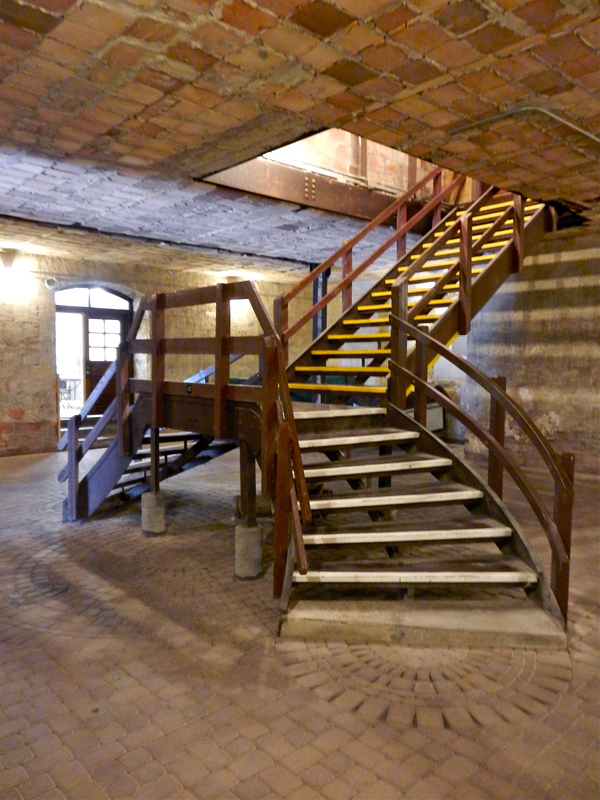 Basement tunnel from Castle to former boat dock. 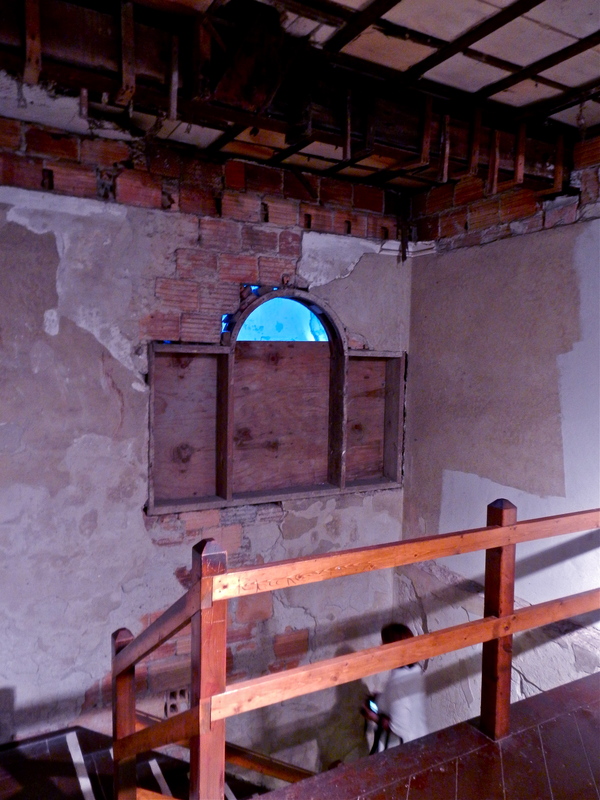 What would have been a formal staircase from the main floor to the basement level. 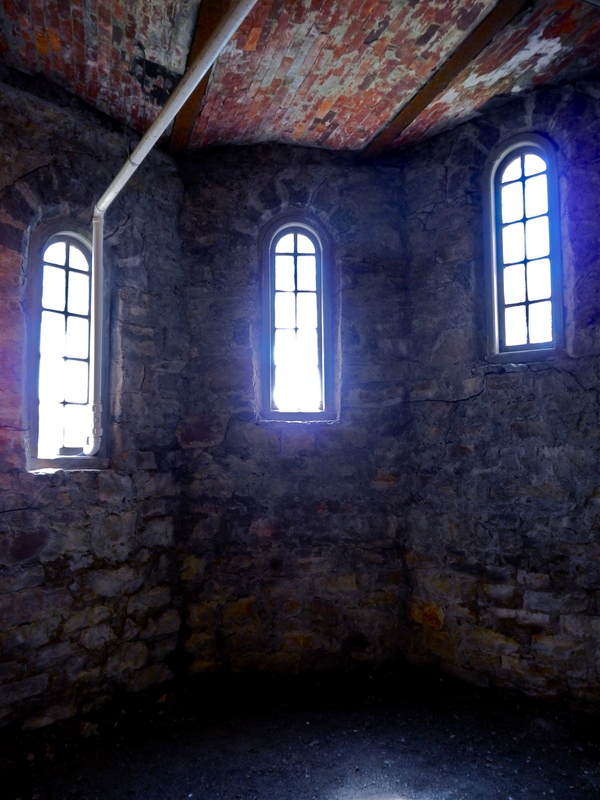 Bedroom ceiling on third floor o castle. Third Floor bedroom that was never finished. Tower staircase never finished. Walls and ceiling are in disarray. 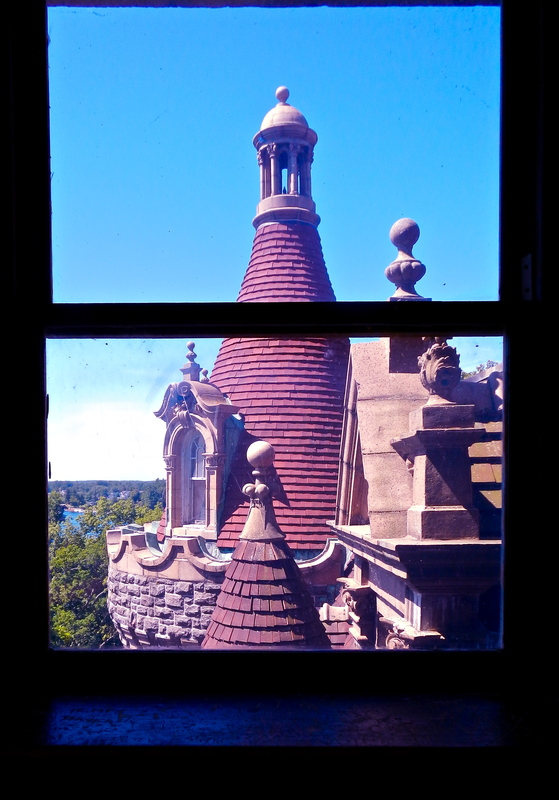 view our of tower window. 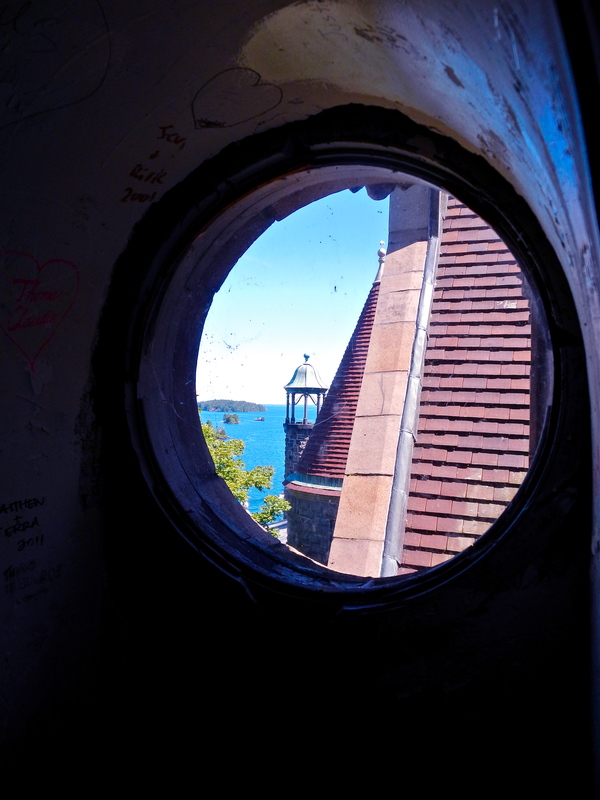 Porthole view from castle tower. St. Lawrence River in the background.